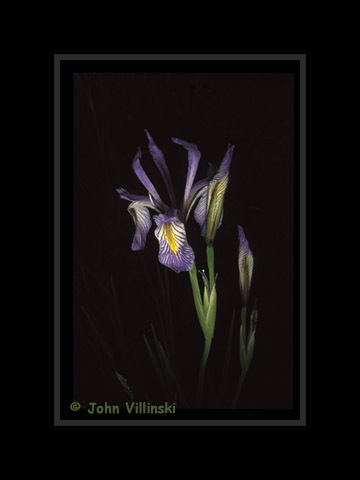 I love this image, with the Rocky Mountain Iris seemingly emerging out of the nothingness. I also enjoy the shape and pattern of the newly emerging flowers on the right. White Mountains near McNary, AZ, 2001.